Bed bugs are a parasite that prefers to feed on people. They move very quickly, especially at night when they feed. They eat blood to survive, and usually attack at night while a host is sleeping. Although their bite is not painful, it can cause skin irritation, itching and often bites are numerous. Often times you will see tiny blood spots on sheets. They cannot cause any significant blood loss and they are not known to spread disease. They can survive a wide range of temperatures and are very adept at hiding. Many people do not realize they have bed bugs until the infestation has grown quite large. Because of their mobility, bed bugs are moving around the country quickly. Bed bugs have been increasing their population across the US and pest control of bed bugs has become a critical necessity. 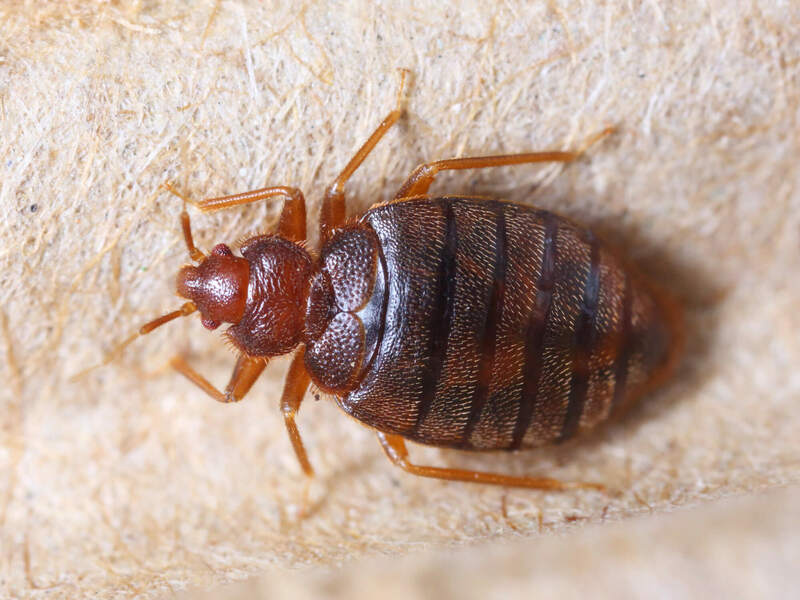 Bed bugs transfer from hotels, other people’s homes, luggage, clothing and just about anything covered in fabric, such as carpets, beds, couches and chairs. Whether at work or at home, they can attach to the things that move with you each day. Bed bug transfer is increasing. As a homeowner, we can treat with several bed bug options to ensure eradication. Our bed bug technicians know exactly how to find the infestation in every area, and exterminate them. We will explain the processes you need to do, while we do our extermination. Whether you own a business office, movie theater or hotel, we specialize in extermination of bedbugs for your commercial business. We work with you to treat all areas for bed bugs, and our designed plans are effective in exterminating bed bugs from your space. Peace of Mind-Calling Affordable Pest Technicians is the first step to bed bud extermination. We will do a thorough inspection of your space and explain our process for extermination. There are several ways to exterminate bed bugs and we utilize the correct method for your infestation. There are chemical and non-chemical options, as well as laws that determine eradication methods. Our technicians are highly trained in each method of bed bug extermination and we will answer any questions you may have. We are professionals in Bed Bug identification, finding and treating bed bugs and their eggs. We know how they proliferate and how to treat every space to kill the bugs and their eggs. We are clean, concise and thorough in our bed bug extermination process, and give you the peace of mind you deserve. Your home or business will be safe and free of bed bugs when you trust Affordable Pest Technicians as your pest control specialists. Affordable Pest Technicians, LLC are certified and experienced exterminators trained to identify your pest problems and risk areas. We treat problem areas in ways that are best for your family, customers, pets, and the environment. When we arrive at your business or home, we fully inspect the area inside and out. All labor and materials will be furnished to provide the most effective pest control and maximum safety requirements by federal, state and city regulations.